The OGC Web Services Context Document (OWS Context) was created to allow a set of configured information resources (service set) to be passed between applications primarily as a collection of services. OWS Context is developed to support in-line content as well. The goal is to support use cases such as the distribution of search results, the exchange of a set of resources such as OGC Web Feature Service (WFS), Web Map Service (WMS), Web Map Tile Service (WMTS), Web Coverage Service (WCS) and others in a ‘common operating picture’. Additionally OWS Context can deliver a set of configured processing services (Web Processing Service (WPS)) parameters to allow the processing to be reproduced on different nodes. OWS Context is aimed at replacing previous OGC attempts at providing such a capability (the Web Map Context WMC) which was reasonably successful but limited to WMS. Other work on the ‘Location Organizer Folder (LOF)’ was also taken into consideration. For all official, normative information on the OWS Context standard, including PDF format download, see the OGC standards program OWC page. This standard describes the use cases, requirements and conceptual model for the OWS Context encoding standard. The goal of this standard is to provide a core model, which is extended and encoded as defined in extensions to this standard. 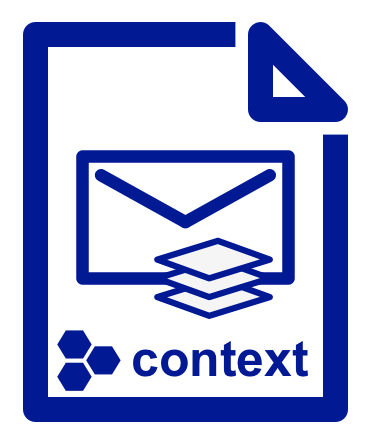 A ‘context document’ specifies a fully configured service set which can be exchanged (with a consistent interpretation) among clients supporting the standard. This standard describes the Atom encoding of the OWC Context conceptual model. The goal of this standard is to provide a definition of how to encode a context document using the Atom document. This standard is an extension of the Atom Format and inherits all requirements stated on RFC-4287. This standard describes the GeoJSON encoding of the OWS Context conceptual model. GeoJSON is a format for encoding collections of simple geographical features along with their non-spatial attributes using JSON. Features in GeoJSON contain a geometry object and additional properties, and a feature collection represents a list of features. This document concentrates on describing the encoding in GeoJSON of the OWS Context Model. Copyright 2014 Open Geospatial Consortium. Some rights reserved.